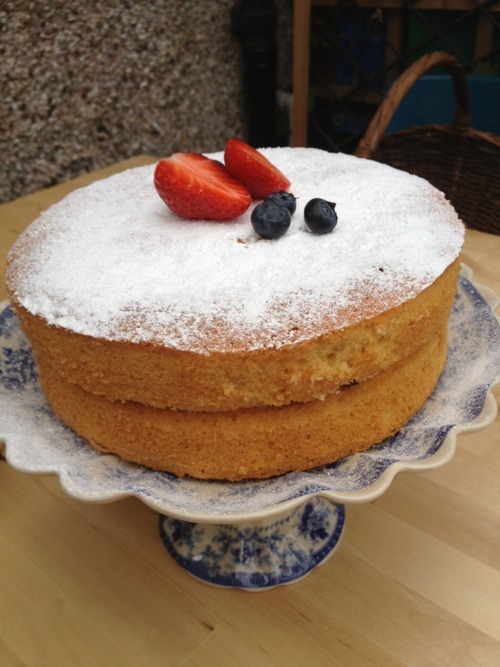 There hasn’t been enough #caking around here of late, but then the Silverwood Victoria Sponge arrived. It Even though I don’t actually like cream, I do like ice cream. And I’m a glutton who appreciates the opportunity to double up on cake filling. I used a standard all-in-one recipe which gets divided into the two tins, with the special “surprise” inserts in there. It’s like baking two flan cases. I melted some dark chocolate and brushed it on to line the interior of the sponge shells, then layered summer fruit and vanilla ice-cream. It should have gone back into the freezer to firm up a little, but our guest had arrived so we sliced it up there and then. 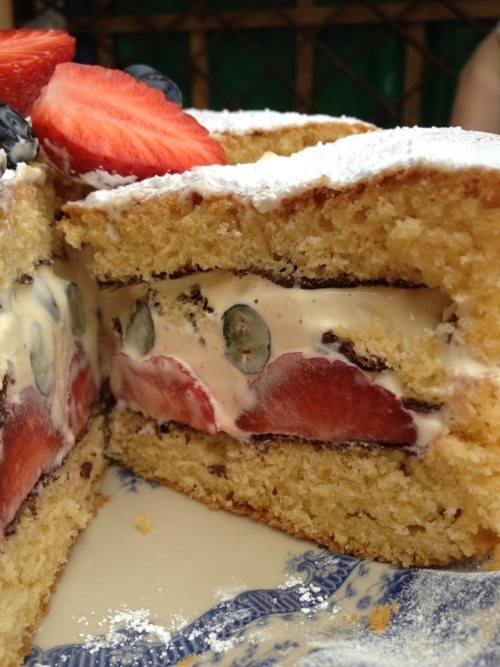 Gooey, fruity, creamy and crumbly. Now roll on the Jubilee weekend, and may it be four days of eating cake.